First things first, I am trying to blog from my iPod because I have no laptop anymore. Sorry if this turns out a little confusing, hope you can follow along. 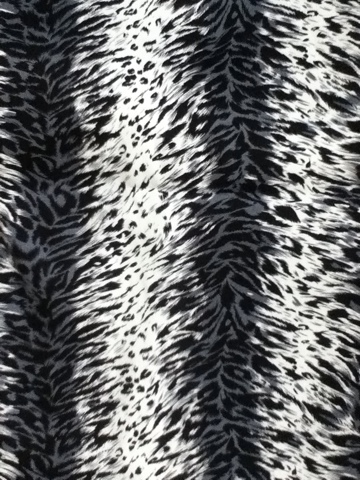 This weeks fabric is a stretch cotton in a fabulous grey/white/black tiger print. Super fun! 1. 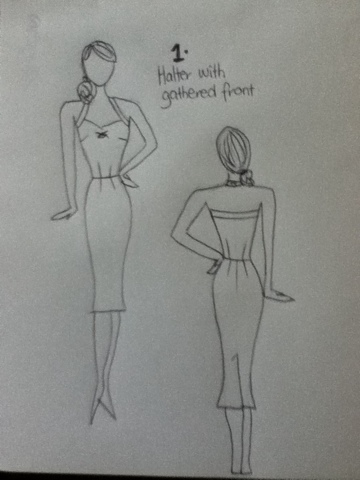 Halter with gathered front. A pretty plain design, don't think you really need too much going on with this fabric! Cute style similar to a navy and white dress I have myself. Mock buttons on the front, probably in black. 3. 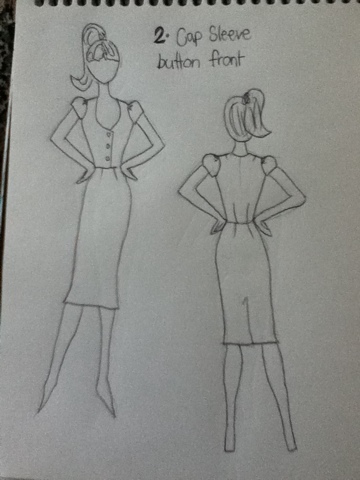 Button front, contrast trim. 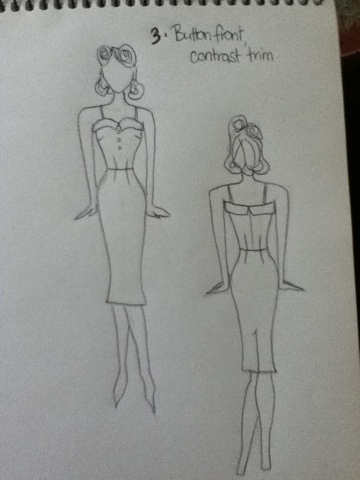 A returning style, I really think this one would look fab in the cat print, with black trim at the top and black buttons. First person to email me (jennamclachlan@hotmail.com) with which design they like can have it made up to their measurements for only $45! Score!